I have a lot to say about Cambodia, but not enough time right now. I can say it is one of my favorite places on earth and I would love to go back. I only wish it weren’t so hot! 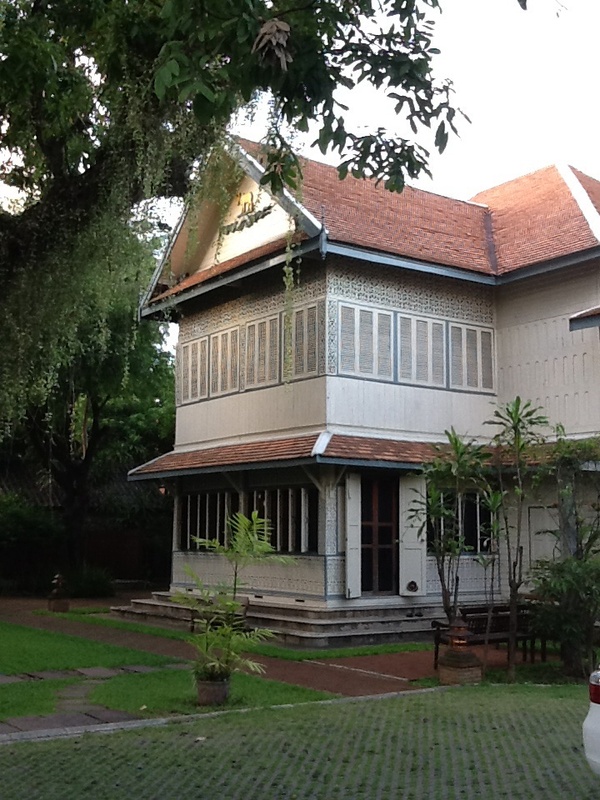 Pictured above is is our Bed and Breakfast in Chiang Mai Thailand, Baan Orapin. It is a beautiful spot near the river and the old city. The pictures on the bottom are small shrines at the front gate of the hotel. 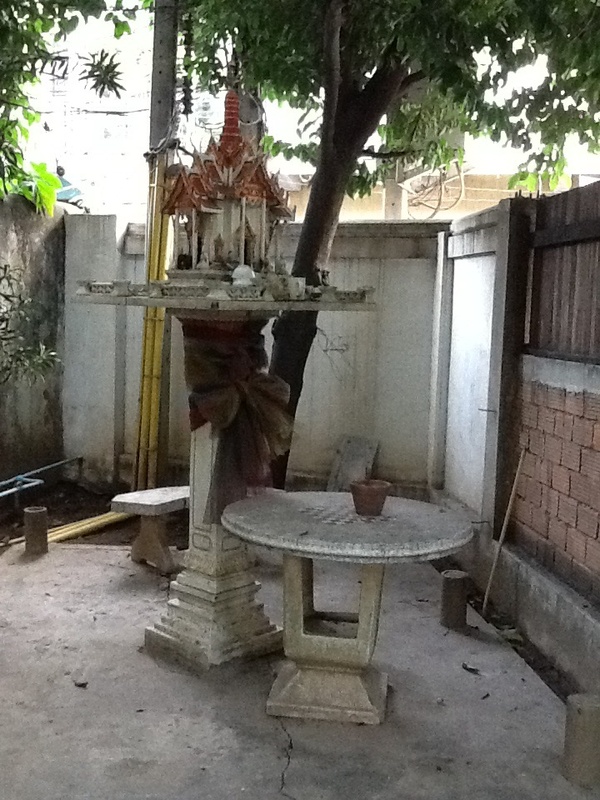 Every house and business has this kind of shrine in front. We have seen many Buddhist temples, or Wats, in the past couple days in the old city. I am feeling overloaded with gold Buddhas, standing, sitting, and reclining. We are going to see the Wat Phra That Doi Suthep on a mountain top this afternoon. I have heard if you go around 5 p.m. the monks start chanting. 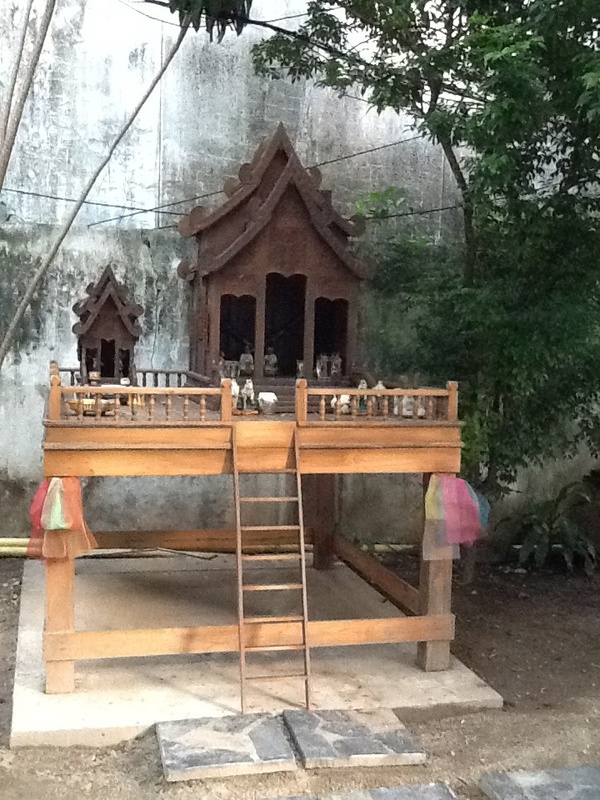 These Wats are all functional and we see many monks in orange and mustard robes – the color is quite beautiful. The first one we went to, Wat Phra Singh, had one side cordoned off and there were approximately 30 monks sitting at low tables eating lunch.